In partnership with state societies, NSPE is actively monitoring and responding to those threats whenever and wherever they arise. 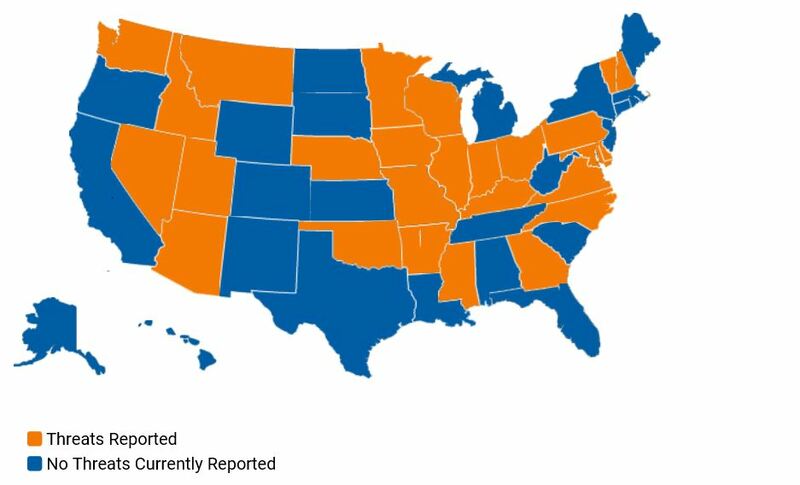 So far, NSPE has mapped out 26 states where similar legislation, regulations, or executive orders have been introduced, signed, and/or passed. Although much of the legislation does not specifically target professional engineers, by opposing occupational licensure in general, the broad attacks sow confusion about the importance of engineering licensure and its role in protecting the public. Cornelius shared how the last two years have been filled with serious challenges for design professionals in Arizona. In 2016, Governor Doug Ducey signed an executive order requiring licensing boards and commissions to review requirements and issue feasibility reports. Ducey issued the order to eliminate “unnecessary barriers to entering the job market and to expand opportunities for Arizonians who want work.” Based on the review and reports, some occupational licenses faced elimination. In the first session of the legislature when Ducey became governor, he proposed the deregulation of the geologists and landscape architects along with other groups like athletic trainers and citrus fruit pickers. Seeing this as a danger to all the design professions, PEs, architects, and land surveyors immediately contacted legislators and stakeholders to explain why it was important to maintain these two learned professions. Cornelius recalled how some legislators expressed a view that “landscape architects just mow lawns and geologists just collect rocks,” showing that they don’t understand the design professions or the difference between licensure and regulations.